YESTERDAY, Feb 11, marked two whole months of detention in a Cambodian jail in Poipet, Banteay Mancheay province, for 47 Malaysians. While there is news that they may be released soon, many questions remain unanswered. We are told that our embassy in Phnom Penh learned of the arrests on Dec 28, 17 days after the detention. Why such a length of time for the Cambodian police to inform our embassy and for the latter to know of it, are questions for both to answer. We expect more from a fellow Asean member. As for our embassies around the world, they may do well to grow their local network with police and media. This will come in handy at times like this. We cannot put all the blame on our embassy in Cambodia — or anywhere else in the world — for every trouble of ours. Malaysians must learn to inform our embassy whenever we set foot on foreign land. If the 47 Malaysians had done this, perhaps Wisma Putra could have acted sooner. We assume our embassy in Cambodia informed Wisma Putra at the very hour it was notified of the arrests. Time is of essence in such things. What we know is a consular visit was made (though we do not know how long after the embassy came to know of the arrests) and a diplomatic note was sent by Putrajaya on Jan 30. Wisma Putra may do well by explaining the reason for the time lapse between the arrests and issuance of the diplomatic note. The 47 Malaysian men and women, aged between 19 and 44, were detained for alleged involvement in an online gaming ring. But they claim they were duped by a recruitment agency believed to be a front for human trafficking syndicate. This and other incidents tell us that many Malaysians are easy preys for scams such as this. We need to be less trusting, though admittedly, syndicates’ ingenuity is sometimes hard to uncover. Nevertheless, job scams do come with warning signs, only that we have to look hard at the offer. Lucrative salaries — US$100 (RM407) a day — is one such sign. 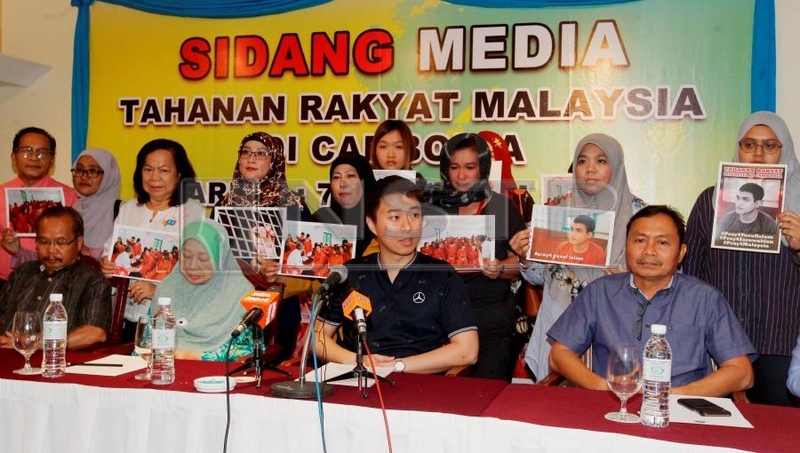 The 47 Malaysians were charged a fee of US$100 to US$200 each by the syndicate. This and the too-good-to-be-true offer should have raised the alarm. There is a simple rule Malaysian job seekers should follow: trust only after verifying the agency, job offer and the company making it. Malaysia for long used to be a destination or transit point for human trafficking. The Cambodian debacle tells us Malaysia is now a source country as well. A pertinent question to ask is: why don’t such things happen in Singapore? Tenaganita, the Malaysian non-governmental organisation that tries to put up a fight against human trafficking, has a one word answer: corruption. We agree. Our score of 47 out of 100 in Transparency International’s 2018 Corruption Perception Index tells it all. Something gets lost on the way from legislation to enforcement. Corruption does not explain the Cambodian fiasco, but lack of enforcement against online scams does.